"In the storm of new screenwriting books, here is an authentic standout. Beyond tons of hands-on advice useful to neophytes and veterans alike, the pages resonate with the authors' love of writers and writing. As someone who's taught screenwriting at university level for over twenty years, I can wholeheartedly recommend this as a text, intelligently organized to take the student from concept to conclusion. Warm, wise, witty, SCREENPLAY: WRITING THE PICTURE is a welcome contribution to the field." — Richard Walter, Chairman, Screenwriting Department, UCLA School of Film and Television, and author of Screenwriting: The Art, Craft and Business of Film and Television, and The Whole Picture. "SCREENPLAY: WRITING THE PICTURE is a comprehensive guide to the screenwriter's galaxy. From nuts-and-bolts to heart-and-soul, this book has it all; if you have any question about screenwriting, you will almost certainly find the answer in this book. It's as close to a screenwriting bible as you are likely to find." — Michael Colleary; graduate and past screenwriting instructor at UCLA, Colleary co-wrote and co-produced Face/Off with fellow UCLA alumnus Mike Werb. "If I had to choose only one book for my course's required reading list, I'd pick SCREENPLAY: WRITING THE PICTURE. Finally, a comprehensive screenwriting guide that breaks new ground and reaches beyond a singular, formulaic point-of-view. Russin & Downs present an array of views, including their own cutting-edge approaches to story structure, characterization, dialogue, and theme. They use concrete examples to make their excellent points accessible, and end each chapter with valuable exercises that take the reader from the theoretical into the practical. This is your one-stop shop toward perfecting and marketing every screenwriter's essential calling card: the 'spec' script." — Neil Landau. Screenwriting Instructor at UCLA, author of the feature film, Don't Tell Mom The Babysitter's Dead and numerous TV series, including Melrose Place and The Magnificent Seven. "This is the best and most widely dimensional book on screenwriting--even better than my own! Bill and Robin have included every major and minor aspect of the screenwriting life, from angst to zeitgeist and craft to art. If there's one book to buy after Aristotle's Poetics, it's SCREENPLAY: WRITING THE PICTURE." — Lew Hunter, Co-chair, Screenwriting Department, UCLA School of Film and Television. Hunter has worked for Columbia, Lorimar, Paramount, Disney, ABC, NBC, and CBS as a writer, producer and executive for both movies and television series. "I hate screenwriting books almost as much as I hate screenwriting, screenwriters, and especially screenwriting teachers. 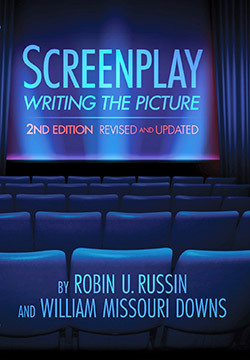 But Robin and Bill -- both screenwriters as well as screenwriting teachers (go figure)--have somehow managed to write a useful, witty, insightful book which is not only full of detail on the nuts and bolts of day to day writing, but also contains valuable information about planning a career and getting into the business. Far from being hateful, this book is, believe it or not, really, really good." — Ed Solomon. Film credits (written or co-written) include Men In Black, Super Mario Bros., Leaving Normal, Mom and Dad Save The World, Bill & Ted's Excellent Adventure, and Bill & Ted's Bogus Journey. Ed has also written for the TV series Arresting Behavior, Laverne & Shirley and It's Garry Shandling's Show. "I don't have a script! If you want help, please, read this book. On its pages you'll find everything a film director should know about screenwriting." "SCREENPLAY: WRITING THE PICTURE is not the beginning of an avalanche of books on the subject... it's rather the beginning and the end, because after reading this brilliant book I can tell with full confidence that it is impossible to touch the subject deeper or with greater skill! In this book you may find everything that is necessary for understanding the subject." 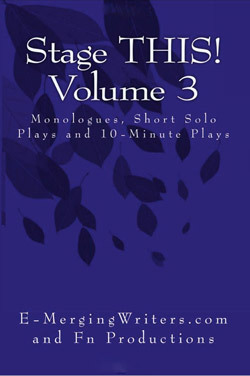 "I've read many how-to books about playwriting but none have been as comprehensive as this one. NAKED PLAYWRITING provides the clear and concise tools anyone would need to translate their thoughts and ideas into a play. It then goes one step further by providing very solid and helpful guidelines on submission, development, and production. If you want to know anything about the process of contemporary playwriting in America, this is the book for you." "These two know what they're talking about and love what they are doing. Their book is fun to read and full of everything I wish I'd known when I got started. Naked is a good way to write." — Gary Leon Hill; New York Playwright; Author of Food From Trash, Say Grace and In a Beginning. "Comprehensive, clear and useful. What separates NAKED PLAYWRITING from other similar texts is how thoroughly the authors set their precepts in the larger contexts of dramatic theory. They tell you not just "what works" -- and they do that very well -- but "why" it's worked since the beginning, so that a student is learning to do more than follow a recipe, but to assimilate the ideas and ultimately think for herself. Even better; the book goes beyond just explaining "how and why" to write a play, but offers valuable advice on how to develop and market it. So what you have is really three books in one: dramatic theory, playwriting principles, and "now what do I do?" advice. If this is the first playwriting text the student reaches for, he won't have to reach for any other." "William Missouri Downs and Robin Russin have accomplished what I didn't think was possible—to cover all aspects of the field in one volume. 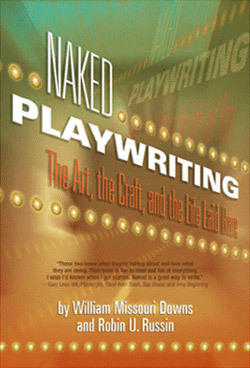 NAKED PLAYWRITINGdevotes its first half to the building blocks of the art, and the latter half of the book covers practical business information every writer must know, whether a neophyte or an established author." "This book rocks! It's one the chief reasons why I won the National Student Playwriting Award from the Kennedy Center. All students of playwriting, listen up: you've found your "how to" book." "At last, a complete playwriting textbook! NAKED PLAYWRITING takes us through the steps—Beginning, Building, Rewriting, and Marketing—with practical guidelines and without attitude. Its sections on Realism, Romanticism, Expressionism, Absurdism, and Epic avoid set-in-stone rules, and frees the creative writer. A perfect classroom textbook." "There is depth of emotion, passionate expression and sound resolve throughout...This book is very appropriate for anyone that understands and enjoys theater, but also for those that have lost that joy. This collection should be included in all community theater libraries. It also gives everyone another reason to watch a play and to do so soon."